It is one of later life’s big decisions: to move or not to move. On the one hand, you may feel very attached to a long-term home, not to mention faintly appalled at the upheaval of relocating, while on the other, you have a niggling internal voice warning that your lovely home is becoming difficult to get around, or is miles from facilities you need regularly. No wonder many older householders only move when the decision is forced on them by some sort of crisis. And it doesn’t tend to end well. Foundations, the national body for Home Improvement Agencies, is looking at ways to help older people decide whether moving home would boost their independence, health and wellbeing. They have set up two pilot schemes in different parts of England, based on the ‘senior move manager’ approach that has helped to transform the image of downsizing in North America over the last 20 years. In West Yorkshire, Calderdale Council is to employ a case worker within its Accessible Homes Agency to offer advice to those thinking of moving home. It will enable the council to broaden its work to increase the supply of adapted homes. WE Care & Repair, a home improvement agency covering four local authority areas in the West of England, will launch an enhanced housing options service for those who either want to move or simply can no longer stay in their current property. It will also introduce an innovative self-help tool designed to give people the information they need to decide whether to adapt their home or move on. 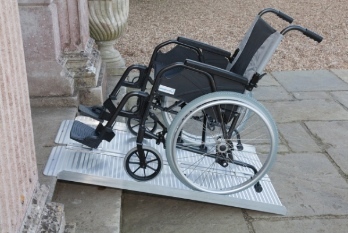 The pilot areas will take forward a key recommendation from the recent Government-commissioned review of the Disabled Facilities Grant (DFG) to use the grant more flexibly. DFGs are largely used to pay for adaptations to help people stay in their homes but in cases where that isn’t possible, resources can be used to support a move to a suitable property elsewhere. A survey by Foundations shows that while two-thirds of people over 65 don’t want to move house, one third are only deterred from doing so because of the stress and hassle involved. More than one in 10 (11%) would move if support was available. 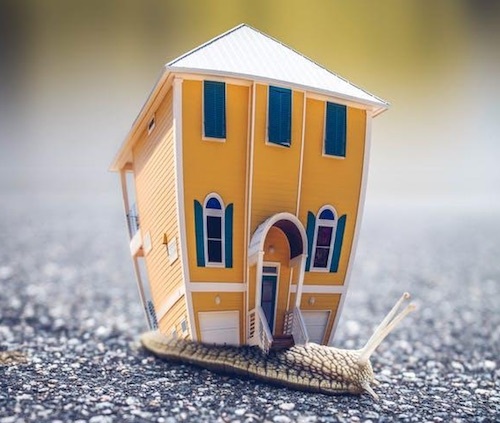 Finding new ways to support potential downsizers is explored in a briefing paper published this week by Foundations: ‘Housing Options, Downsizing, Move On Services’. England’s 200 home improvement agencies – based in councils, housing associations and run as stand alone charities – are ideally placed to provide that support because it’s a natural extension of their current work, it argues. So what exactly are Senior Move Managers? People move home all the time, to pursue their aspirations or just to be closer to friends and family. Amongst older people, however, the number of moves drops dramatically. This situation could be changed by a reframing of the largely negative connotations around housing in later life, and by providing the right advice, information and support which allows people to access a wider range of options than they would without support. In North America there is a National Association of Senior Move Managers, which provides training, support and registration to a national network of professional services that help people move, downsize or otherwise manage their property. Senior Move Managers provide services that take the stress, hard work and worry out of relocating in later life, by providing a single point of contact, explaining the practicalities of downsizing and options available. Well it really does sound as if you should apply for a Disabled Facilities Grant to convert your bathroom so that you have a shower you can use. Having to shower in the garage standing in a bucket is appalling. You say the council has come out twice – does this mean you have tried to get a grant and been turned down? They are means tested, so if you have savings or income over a certain level, you will get a smaller financial contribution from the council, or none at all, but it should still be useful to go through the application process. Contact the housing department at your council, and say that you want to apply for a DFG. They will send an occupational therapist or similar person to visit you at home and see whether it can reasonably be adapted for you. Compression.Solutions offers a wide range of support for people with various medical problems or potential problems.